On June 12, 1823, the Third General Assembly conveyed to the City of Vandalia one and a half acres of land to be used as a burial ground. One-half acre was to be reserved for members of the legislature who might die while serving at the Capitol in Vandalia, should weather prevent their transfer home for burial. Four legislators and one Federal Judge were buried there. 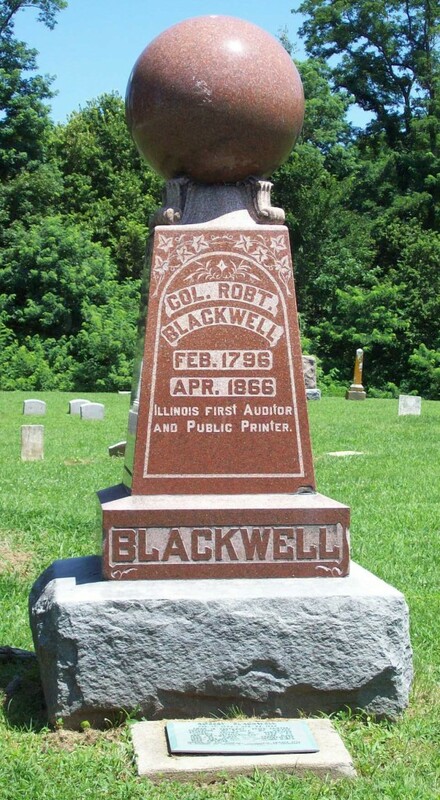 Also buried in the Old State Cemetery are Ferdinand Ernst, who brought more than 100 colonists here from Hanover, Germany in 1820; Col. Robert Blackwell, state printer from 1818-1839; Elijah Conway Berry, editor of the "Illinois Intelligencer", 1817-1820, State Auditor 1819-1831; Col. William C. Greenup, 1785-1853, superintendent in charge of construction of the National Road in Illinois; and Col. Lucien Greathouse, who served in the Civil War under General Sherman. There are also three Confederate Soldiers and a blockade runner buried in the old cemetery. The Old State Cemetery is located at the south end of Third Street in Vandalia, Illinois.